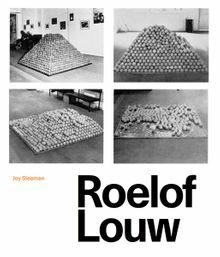 Working in London, New York and Cape Town, Roelof Louw (1936–2017) made sculpture from wooden slats, cast iron wedges, sandblasted and painted scaffolding poles, rope and neon; he also anticipated the participatory art of the present. The most authoritative overview on Louw, this book presents a new viewpoint on a familiar era. Paperback, 8.5 x 11 in. / 192 pgs / 110 color / 60 bw.